This month scheduling has provided us the opportunity to have a movie night on Friday March 15th instead of the usual 2nd Wednesday. A great way to begin the weekend. 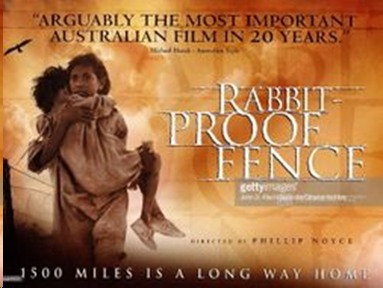 We’ll be showing Rabbit Proof Fence, a wonderful film from Australia about a 14-year-old courageous girl determined to be free. (February 13th) “What is Democracy?” POSTPONED TO FEB. 28th. Coming at a moment of profound political and social crisis, “What is Democracy” reflects on a word we too often take for granted. This 2018 National Film Board documentary spans millennia and continents from ancient Athens’ where modern democracy was born to the financial collapse of present-day Greece and from capitalism’s roots in medieval Italy to the U.S., with its growing gap between rich and poor and persistent racism. Featuring a diverse cast, including celebrated theorists, trauma surgeons, activists, factory workers, asylum seekers and former prime ministers, this urgent film connects the past and the present, the emotional and the intellectual, the personal and the political, in order to provoke and inspire. After the film Transition Sooke co-president Michael Tacon will facilitate an audience discussion on any topics or thoughts raised by the film. One of the most memorable Awareness Film Nights occurred in February 2014 when we devoted the evening to telling the story of residential schools in B.C.. It went long past closing time and featured a film and powerful talks by residential school survivors telling what they had undergone both during and after their residential school experiences. Also among the speakers was Carey Newman, introducing his new project the “Witness Blanket”. Fast forward to October 2018 and Carey’s film about the making of that blanket, called “Picking Up the Pieces: The Making of the Witness Blanket” premiered at the Vancouver International Film Festival to sold-out audiences. 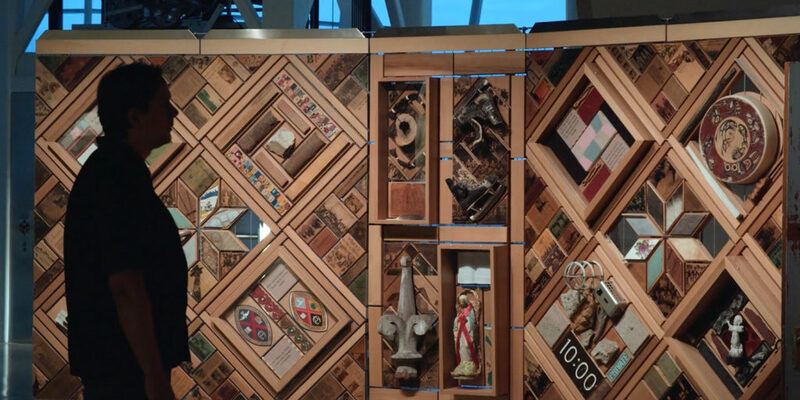 Filmmaker and master carver Carey Newman created the Witness Blanket over several years by weaving together hundreds of found items from residential school buildings, churches and other cultural structures across Canada, including shoes, bricks, photos and even a door, to create “a national monument to recognize the atrocities of the Indian Residential School Era”. The result is a 40 foot long “quilt” made up of beautifully carved and thoughtfully placed wooden panels, homes to memories that “individually…. are paragraphs of a disappearing narrative (but) together they are strong, collectively able to recount for future generations the true story of loss, strength, reconciliation and pride” and that appear to be an undulating blanket. In this moving film Carey seamlessly weaves the two stories together with his same artist’s eye; the story of the making of the Witness Blanket and the more poignant story of the residential school legacy as borne by survivors and their families. As our post-screening speaker/filmmaker in attendance, Carey will be returning to Sooke, where he grew up and where his parents, Victor and Edith Newman are well known as artists, as key partners in the Sooke Reconciliation Group and as the remarkable people that they are. Consider bringing a food item for the EMCS students’ “10,000 Tonight” Food Bank drive being held on the same evening. These days it seems even more important than usual to seek and find inspiration and encouragement that helps us to build caring relationships and to respond to adversity. Examples abound, some fictional, some based on the lives of flesh and blood people. The Intermission Series begins the season with a true story that portrays what is described in the film’s title as a miracle. Unable to see or hear after a severe illness at 19 months old, Helen Keller, with the help of Annie Sullivan, learned so much more than basic communication. She became a writer, activist, and lecturer, inspiring many people over the almost 88 years of her life. She described “her most productive pleasures” as curiosity and imagination. 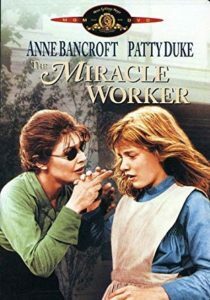 The Miracle Worker filmed in 1962 is regarded as a classic, Patty Duke Astin and Anne Bancroft both won Academy Awards as Helen and Anne, and of course, Rotten Tomatoes gives it a 100% approval rating. It was adapted from the play of the same name by Arthur Penn who also directed the film. A line from a review by Wesley Levell describes it well: Two well-deserved Oscars grace this unflinching portrait of selfishness in direct resistance to selflessness. Sounds like something that could come in handy in our world today. Why wildfires have gotten worse – and what we can do about it. The rise of highly destructive megafires has become one of today’s most pressing and complex problems. This 2018 film is a 60 minute multi-media presentation that combines the research of Dr. Paul Hessberg of Pacific Northwest Research Station, U.S. Forest Service with the visual storytelling of award-winning film company North 40 Productions, including video vignettes, animation and the work of wildfire photographer John Marshall. Facing the reality of this issue can be daunting, but like all wicked problems, through education we can change the way fire comes to our forests and communities. To bring the issue home to B.C. 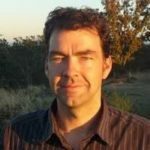 and Vancouver Island, the post screening discussion will be lead by Jens Wieting, Senior Forest and Climate Campaigner with the Sierra Club of B.C. 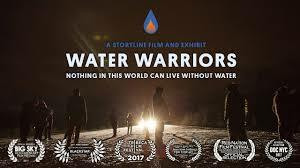 In just 22 short, thunderous minutes “Water Warriors” is the story of a New Brunswick community’s successful fight to protect their water from fracking. A familiar scenario – a small determined group of First Nations and local activists go up against a large foreign corporation that has plans to tear up the ecosystem and pollute and use vast amounts of their water in order to develop a fracking site in their region. It sure looks hopeless at times, and not much fun in the cold weather, but they persevere. All over the world people are standing up and saying no more eco-destruction and no more corporate takeover of the commons (“land or resources belonging to or affecting the whole of a community”). Whether it’s stopping sand dredgers in Cambodia, standing up to mining companies who are polluting your village in South America, Help(ing) Our Wolves Live in Sooke or growing non-GMO, unsprayed food, organizing a reconciliation group, monitoring local species at risk or bringing solar cooking stoves to remote villages in Africa or India, the list of people making a difference is long. THE FILM WILL BE FOLLOWED BY AN OPEN MIC……A call to community-builders and activists! The Season Finale of Awareness Film Night will be your chance to share with us what you are working on to bring about a more just, beautiful, sane, connected world. It can be a big, time-monopolizing effort, or a small effort. Come and talk about it…………we will have 1 and 1/2 hours to share. Not a time for boasting, rather a time to rouse us so that we may go off into the summer inspired, knowing what is being protected and what innovations are being created and how many people are working behind the scenes to make a better world. The 11th Annual Farm and Film Gala co-presented with Sooke Region Food CHI will feature vendors of farm and garden supplies, seeds, plants and locally grown/made produce and wares, info tables from regional non-profits concerned with sustaining our beautiful community, local teas and garden-inspired goodies from the EMCS culinary arts students, gift baskets and the film “Evolution of Organic”. 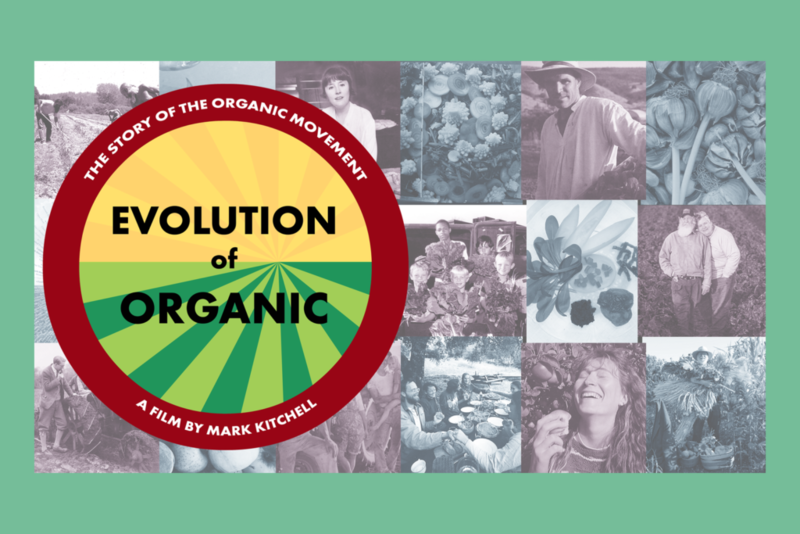 Academy-award nominated filmmaker Mark Kitchell’s insightful 2017 documentary retraces, through lots of archival photos and videos, the first steps of the motley crew of rebellious back to the landers, spiritual seekers and sons and daughter of farmers who rejected chemical farming and set out to explore organic alternatives. Kitchell is known for documenting social change movements and in “Evolution” he takes filmgoers from the counter-culture 1960’s through the eventual consolidation of much of the organic food production into larger, continent-wide businesses and Alice Waters and the Foodie movement to exciting and important future innovations such as carbon farming. This is an uplifting and entertaining film and it features a lively soundtrack of music from the mind-expanding 60’s such as The Grateful Dead, Country Joe and the Fish and Bruce Springsteen. Doors will open at 6:30 for a chance to visit the vendors (don’t forget to bring some cash), have some tea and goodies and schmooze. Film will start at 7:45. 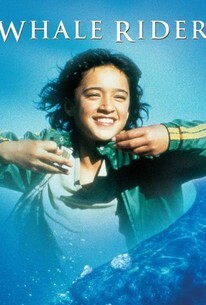 Whale Rider is a 2002 New Zealand-German film directed by Niki Caro, based on the novel of the same name by Witi Ihimaera. The film stars Keisha Castle-Hughes as Kahu Paikea Apirana, a twelve year old Maori girl whose destiny is to become the chief of the tribe. Her grandfather Koro believes that this is a role for males only. The film was shot on location on Whangara, the setting of the novel. Director Niki Caro transcends ordinary film making with Whale Rider. The film played to standing ovations at both the Toronto and Sundance film festivals, and with good reason. It is not a film that tells us anything is possible. It shows us. It does not sink into despair over the disappearing way of life of the Maori people. It shows us that any group of people, any tribe or village, any nation, can survive and even prosper if we rely on what we feel in our hearts. This is a film about traditions, about beliefs, about growing up, about magic, and about love. In the theatre at Edward Milne Community School, 6218 Sooke Rd, Sooke, BC.